If you’re anticipating a dead weekend, you might as well embrace it. From now and until July 28th, Dead Island, Dead Island: Riptide and all the bits and pieces of zombie-slaying DLC are 75 percent off on Steam. Dead Island: Epidemic, Stunlock Studios’ MOBA spin-off – which is in Early Access right now – is also free for the entirety of the sale. Our Matt’s played around with it, so you should check out his Dead Island: Epidemic Early Access review. 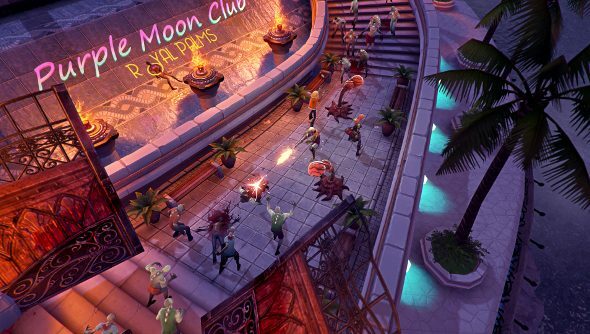 Latest: check our story on why yuo should try the theDead Island Epidemic open beta. Matt seemed to like it, but advised folk to wait. But since it’s free for the weekend, you might as well dip in and take a look. I took it for a spin a wee while ago, and it seemed alright. Though as some of you might already know, I’m getting a bit tired of the deluge of MOBAs, and think they should take a break. Anyway, that’s something you can do this weekend. It’s probably better than slowly roasting outside as the sun quickly consumes all life on Earth. God, I hate the summer.